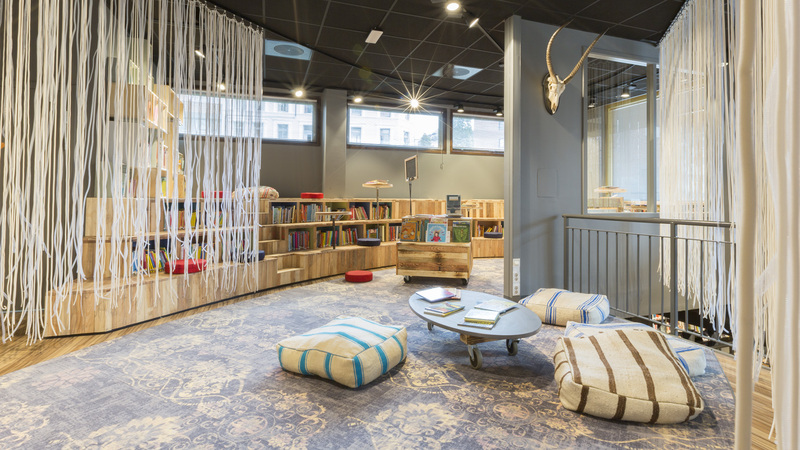 Deichmanske Library, the biggest and oldest library in Norway, has redesigned one of its 24 branches as an enticing living room. 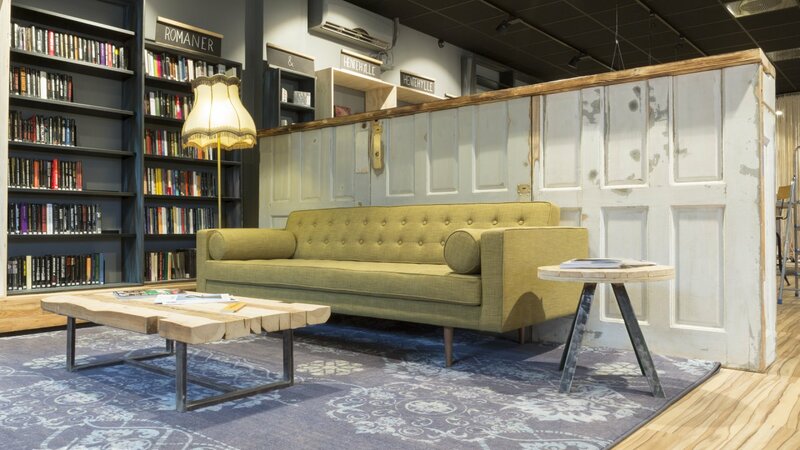 Gathering, gaming and meeting up are all made possible by cleverly reclaiming space. 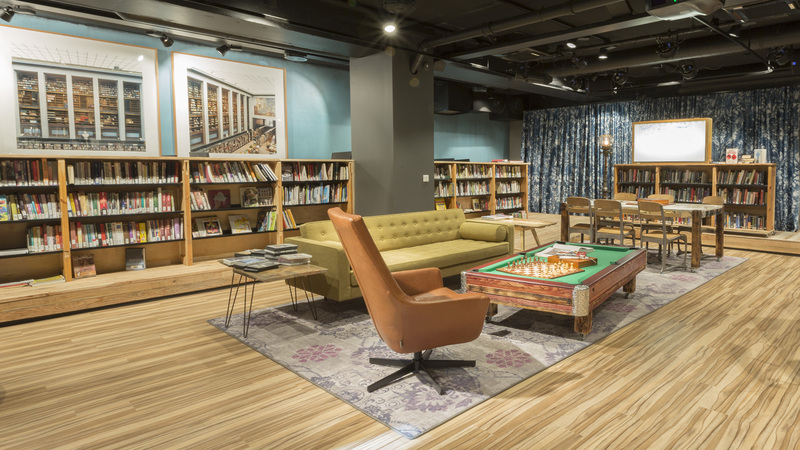 A warm atmosphere, coupled with rethinking how we store books, led to a clean-cut library with a vintage touch. The well-established library was only accessible during normal working hours. Its operating times where limited to when staff was present. The library is financed by the public, for the public. 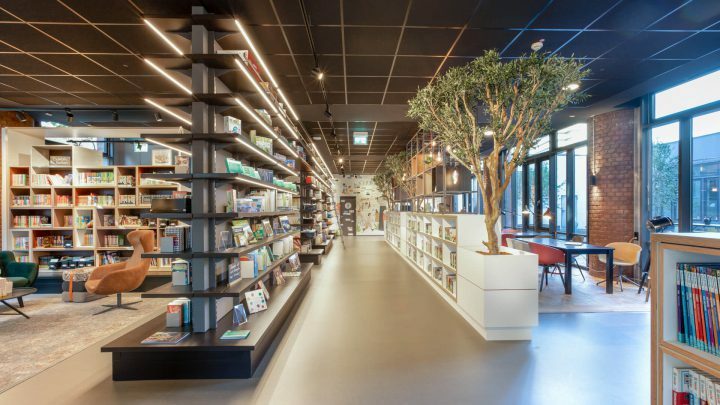 Unfortunately, the library’s standard opening hours automatically excluded people that were busy during normal working hours from being able to visit. 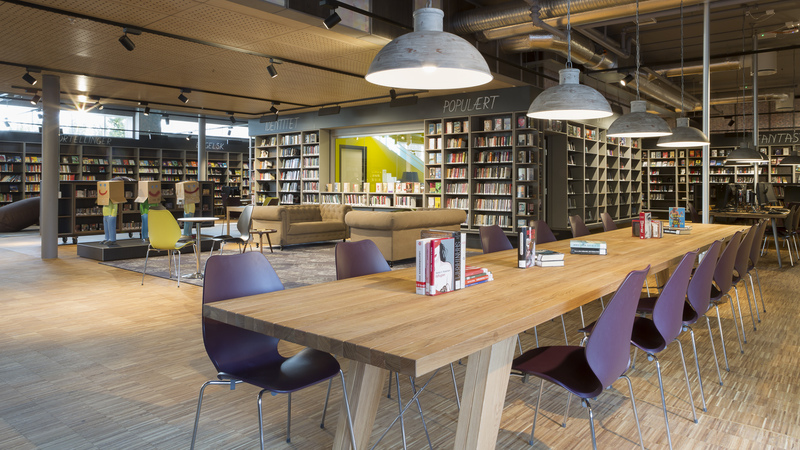 Therefore, Deichmanske Library decided to adopt the concept Meråpent, which means more open. 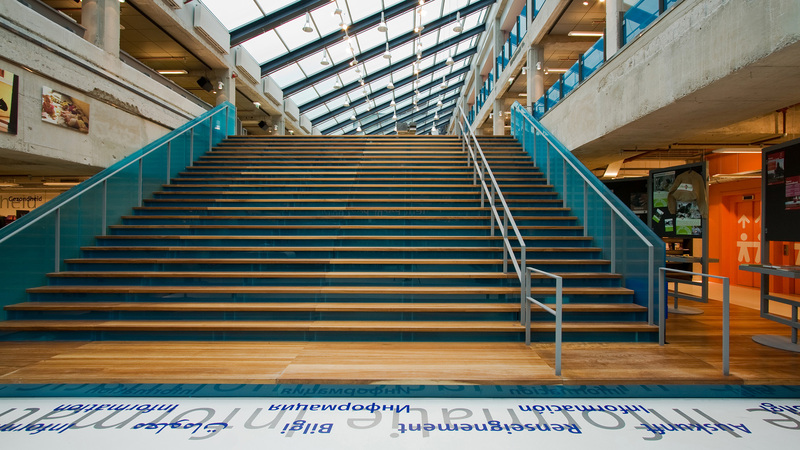 Since a large part of the public was not able to use the library, this concept gives as many people as possible convenient access. By the public, for the public. 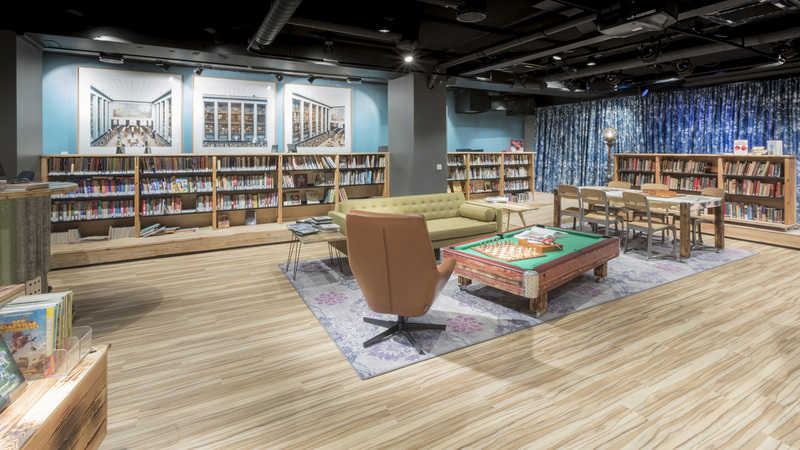 We expanded the library basement and redesigned the library’s interior to make it inviting and exciting. We made space for visitors by being creative. 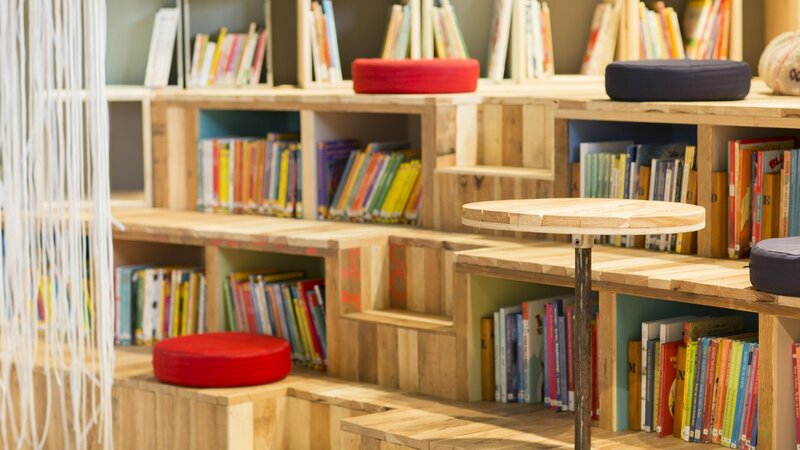 By avoiding high shelving, we ensured that books were within physical reach. 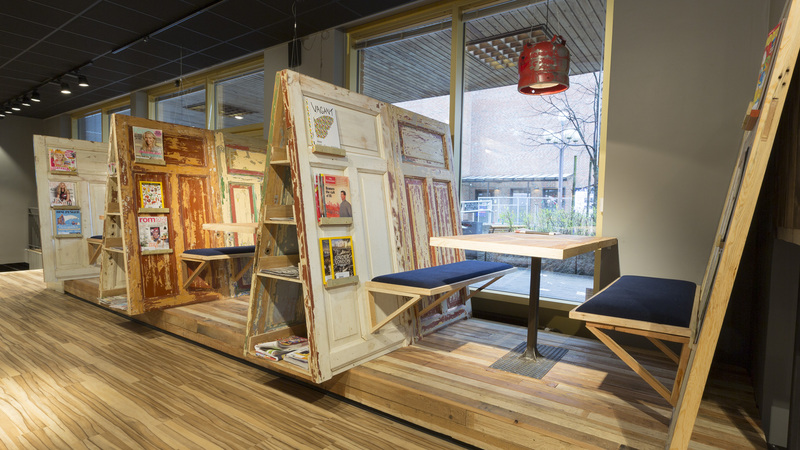 Bookshelves were made into part of the landscape, storing books but also functioning as seating areas. Areas for meeting, reading, and even gaming, were sculpted. The space reflected Deichman’s motto: Hold Deg Våken! Keep yourself awake. The library’s goal was to become a destination people wanted to visit. 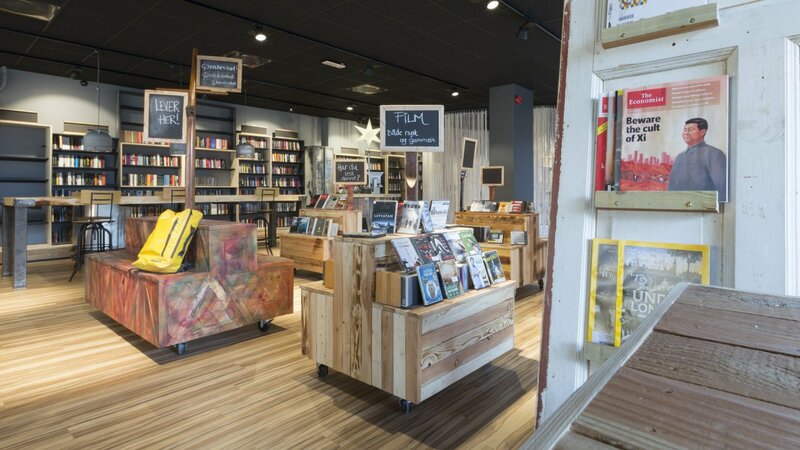 The library had to be able to keep up with the rapidly developing neighborhood and enrich people’s experience. Firstly, we got rid of the boring fluorescent lighting (which, let’s be honest, doesn’t flatter anybody). The fluorescent light was replaced by warm and spotted light, accompanied by different textures in the form of curtains and carpets. Brown and grey tones created a homey atmosphere. 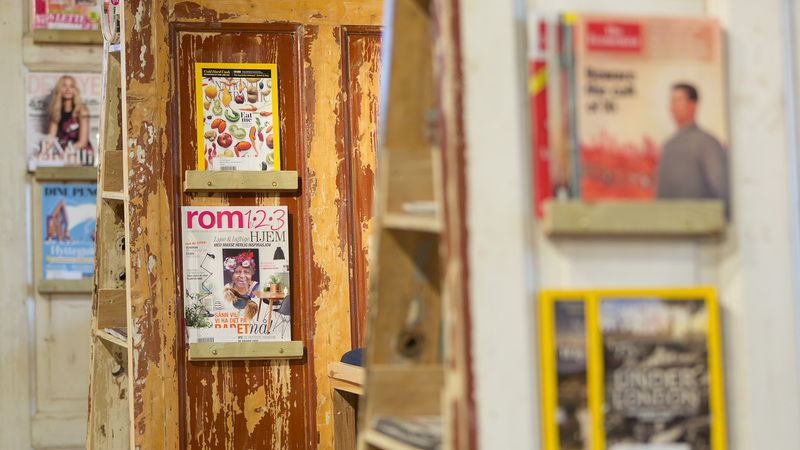 We also used reclaimed materials to show that you don’t need to buy new to create new. 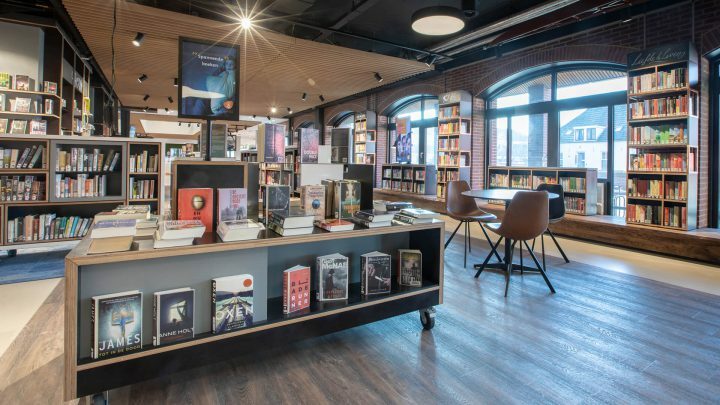 Another way to allow people access was by increasing safety; video surveillance allowed patrons to be in the library even without staff present. This concept of accessibility and openness allowed us to craft a third place for all. A home away from home that entices people to stay just a little bit longer; giving them the opportunity to interact, enjoy small plays, music acts and performances. 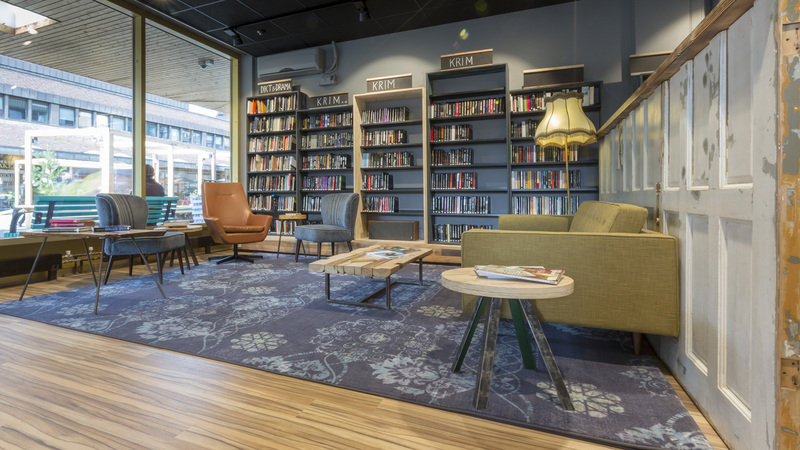 The Deichman Tøyen Library used to have opening hours from 9am to 5 or 7pm. It now opens at 7am and closes at 11pm.